Date: Apr 29 2019, 9:30 a.m. - 1:30 p.m.
Nearly 80 percent of cardiac arrests occur outside the hospital. Providing training that enables employees to take appropriate rescuer action at the workplace is an essential element of an effective safety program. 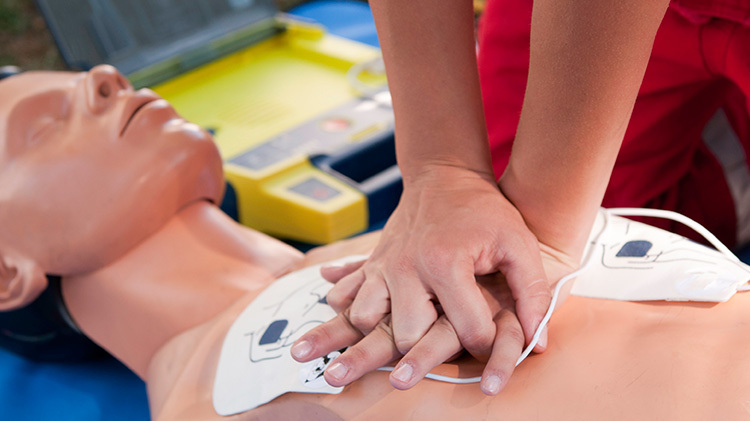 The CPR/ AED Course gives you the skills to learn and complete this task. Upon successful completion, students receive a course completion card valid for two years.